Just off the bustle of the High Street, under the shadow of John Lewis lies a small pub that has made a big impression on Exeter’s dining scene in recent years. Nestled between houses and office blocks; it backs on to the historic wall of red sandstone that surrounds Exeter Castle in one of the older parts of Exeter. You might remember we visited The Oddfellows a couple of years ago to taste the wonder of their burger nights, and we loved it. The burgers are still to this day some of the nicest that we’ve tasted from a none-burger restaurant. 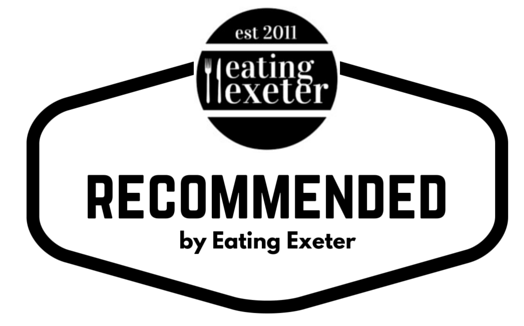 Exeter has become a foodie hub in recent years and with the Queen St Dining quarter steadily opening their numerous restaurants – both large and small scale chain operations – gastro-pubs/restaurants like The Oddfellows offer Exeter diners a locally-sourced independent option. 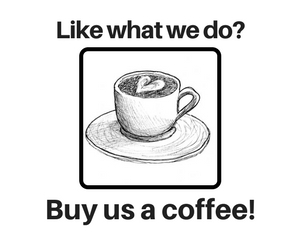 The Oddfellows has gone from strength to strength since Yvan & Faye Williams opened their doors ten years ago. 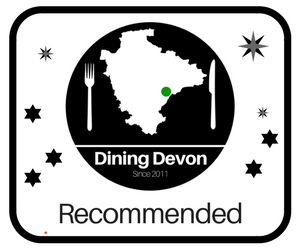 They have since opened a sister pub in Exmouth, bringing their locally-sourced British cuisine to the people of this local seaside town. I was honoured to be invited to their ten year celebration a couple of weeks ago; it is so heartwarming to know that an independent restaurant like The Oddfellows is going strong. We were invited along to see what they did best, to enjoy the comfort of this lovely pub-restaurant and to raise a glass to ten more fabulous years. The menu here is seasonal, it changes regularly using the best local suppliers in their well engineered menus. When it comes to food, we’re definitely two course people; but the lovely looking dessert menu meant we had to go for all three. So we shared a starter and dessert! Tori wanted to experience a cocktail which The Oddfellow’s mixologist produced expertly. The Speakeasy is The Oddfellow’s very own cocktail bar and is located upstairs above the main bar area. With its vintage surroundings, it makes you feel you are propping up the bar in a genuine depression-era saloon! Cocktails are definitely one of The Oddfellows specialties. I grabbed a Rhubarb Collins from The Oddfellows mobile Cocktail Bar at the Beer & Bacon Festival back in September – it was refreshing and delightful. I digress, but here are some photos from that event. Our starter tonight was going to be a Pork, Apple, Pistachio Terrine with Apricot Jam, Spiced Pork Quavers and toasted Brioche (£5.75). An enticing combination which worked together beautifully. I washed the whole thing down with a pint of Theakston’s Barista Stout. The chunky terrine was lovely, with the smokiness of the brioche and the fresh butter, it was the perfect aperitif to our main courses. Tori commented on how nicely the steak was cooked, and with the triple cooked chips done in beef dripping being some of the best chips eaten on that side of the table, the smoky bacon and rosemary butter on top added flavour – the generous amount of vine tomatoes was a generous and tasty addition. And for me – Chicken breast stuffed with a black pudding mousse, chorizo croquettes, roasted cauliflower and puree, crispy chicken skin and chicken sauce (£14). I’m definitely converted to Black Pudding mousse; it was served inside the chicken which was cooked perfectly and served with a delightful gravy. The chorizo croquettes were mind-blowing, losing the journalistic sensibility I have to say anything more intelligent, I seriously considered putting some in my pocket to smuggle home. The chocolate had this saltiness which really worked, wonderfully sweet yet salty with the bitterness of the coffee mousse. An amazing end to a lovely meal. I really enjoy good food and when you get a restaurant doing things like The Oddfellows, it makes you realise how good food should be done. I will happily sing the praises of this restaurant with its ethos and the enthusiasm that both owners share for good food and supporting everything local. The food was lovely, the service with faultless and I will definitely be returning for more.